Brayelin Martinez has signed with Aydın Büyükşehir Belediyespor for the upcoming season. The 6′ 7″ outside hitter is only 21 years old, but has seen extensive time for club and country. Last season, Martinez played for Pomi Casalmaggiore in Italy and finished 9th with the team. During her time in Italy, she tallied 266 points with 8 aces, 231 kills and 27 blocks. Additionally, Martinez has also played for the Dominican Republic’s National Team. Her career for the Dominican Republic started early when she won the 2015 U20 World Championship. With the team she has won the 2014 and 2016 Pan-American Cup titles as well as the 2014 Central American and Caribbean Games championship. She was also part of the 2013, 2015, 2017 and 2018 teams that won the silver medal at the Pan-American cup. Gracias a Dios nuestra Brayelin Martínez se encuentra bien! Gracias a todos por sus oraciones y su apoyo!.. 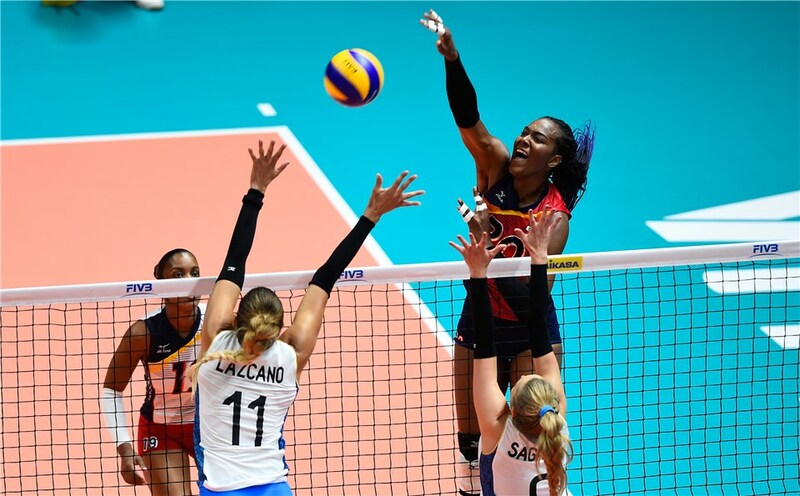 Aydın Büyükşehir Belediyespor has also signed Brayelin’s sister, middle blocker Jineiry Martinez, who also plays on the Dominican Republic National Team. The two sisters will be joined by fellow Dominican Republic team member, Gaila Gonzalez Lopez. Belediyespor finished 5th out of 12 teams in Turkey’s top-tier Venus League last season, where they lost to Fenerbahce, on set differential, in the two-leg quarterfinals. They went on to finish 5th in the playoffs as well.